I’m starting to get a complex. It’s no secret I’m a cat girl. I mean, I’ve had cats ever since I can remember (except for my college days…no cat wanted to deal with that dramafest, anyway). My cats have ranged from Spot to Tiger, Flea to White Devil, and I remember every one of them. That’s normal, right? Nothing wrong with conversing with your furry family members, pretty sure about that. Daughter claims no one else has relationships with her cats like I do…not sure that’s a compliment. 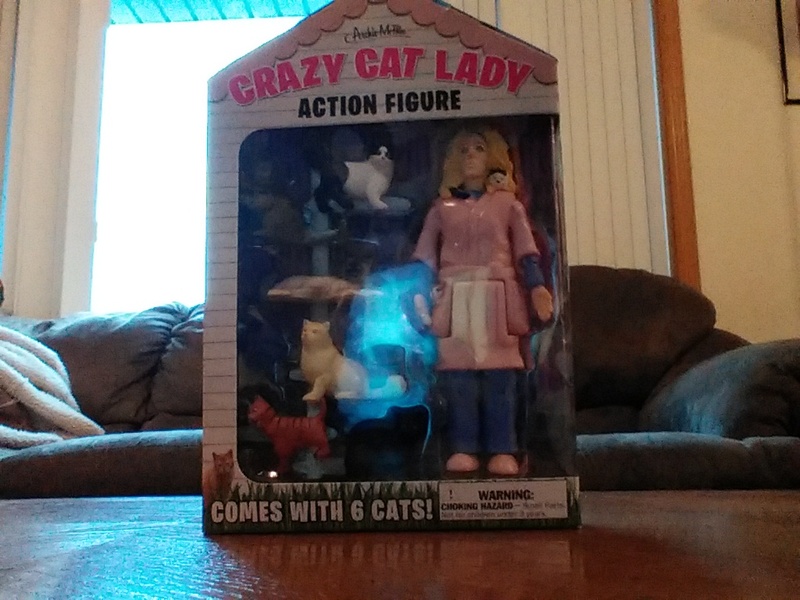 My point is, I think people have already pegged me for the next neighborhood Crazy Cat Lady. Call it subliminal hints, but check out some of the Christmas presents I got this year. 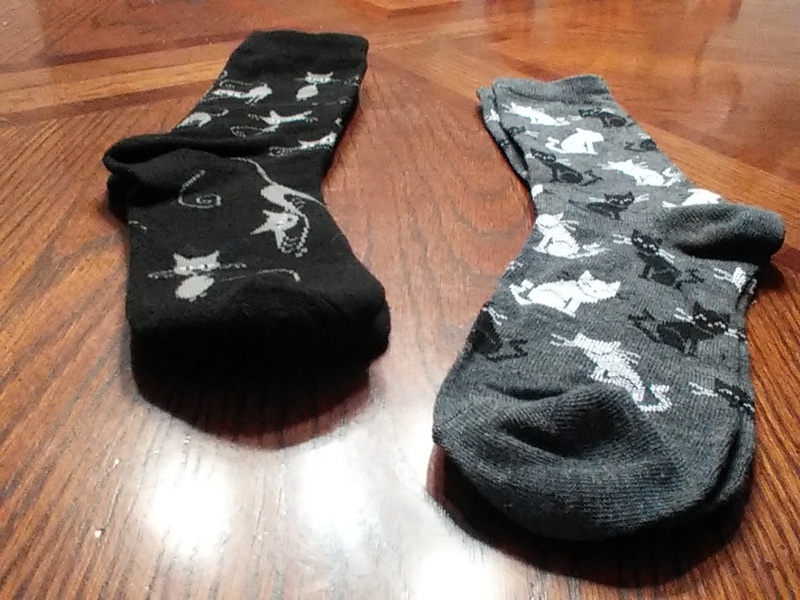 Cat socks rock. They’re useful. Keep the tootsies warm. I like them. 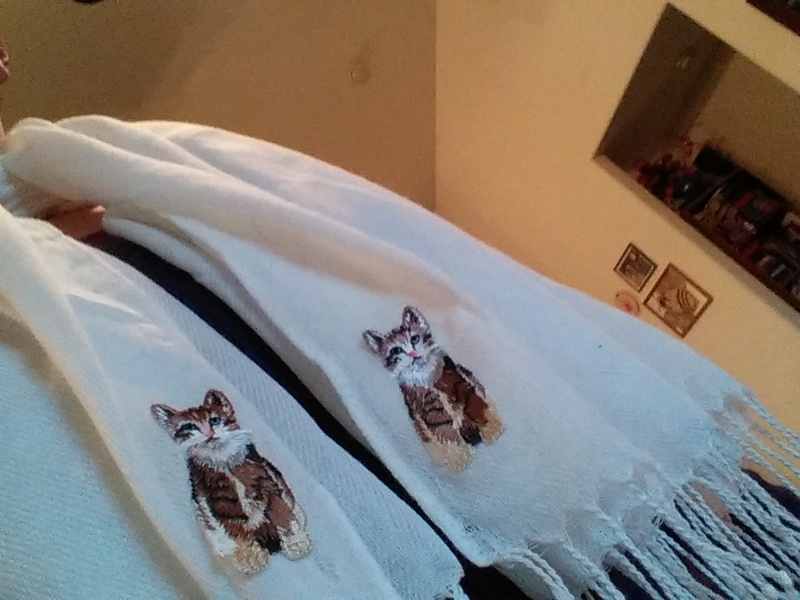 Everyone needs a cat-applique scarf on those cold winter days. You’re jealous, admit it. This was freakin’ hilarious. Who comes up with this stuff? For the record, cats DO NOT love it. 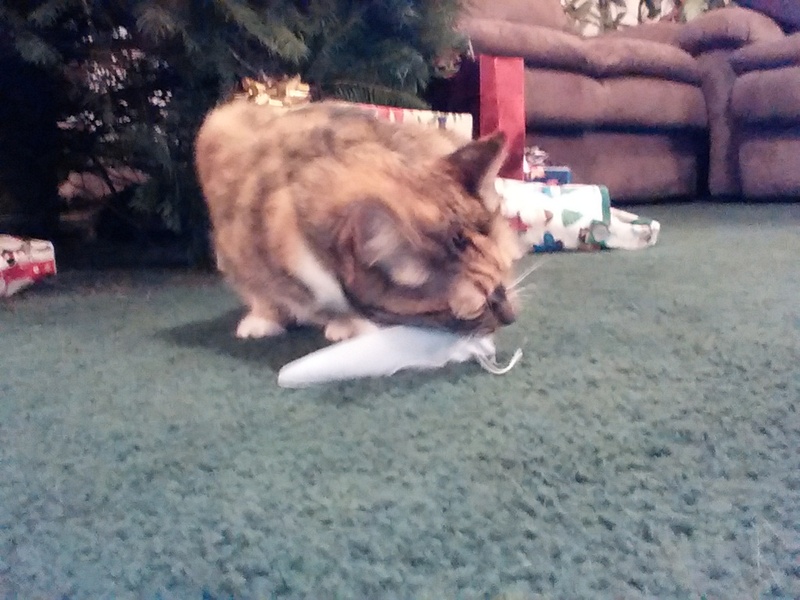 Here’s what my cat Frank thought of it, after two seconds on her head. 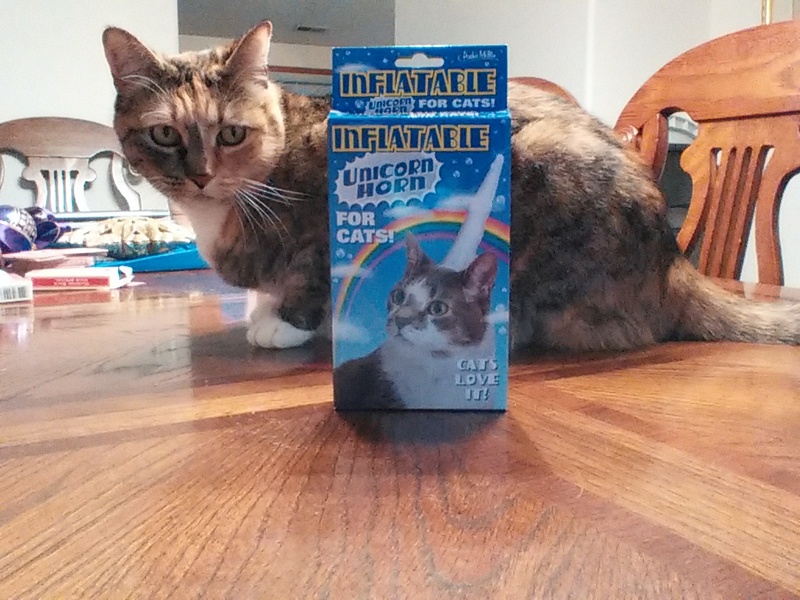 The Inflatable Unicorn Horn for Cats has flown to the recycling bin in the sky. Do you get excited when you hear a can opener? (for the record, that was a big NO for me). Do you buy the ice cream your cats prefer instead the kind you like? Do you own more than one piece of clothing with a cat on it? (er…now I do). If you answered yes to four or more of these questions, you may be a Crazy Cat Lady. I dare you to take the quiz…do you join me in the ranks of United Crazy Cat Ladies? Did you get any weird, ahem, AWESOME presents this year? If you wanna be a cat lady then OWN IT, girlfriend. Wow. I didn’t realize it was this bad. Do I have to stage an intervention? I love you anyway, but wow, that might be a little too much cat. I’m pretty sure I’m beyond hope, but I appreciate the intervention offer. I’ll just clarify I like cats, but don’t buy cat-related things for myself. Ever. Yet, people feel compelled to give them to me. Now, if I could only learn to compel people to bring me wine, chocolate, and Alexander Skarsgard…I’ll have to work on that superpower. Happy hump day, Patricia! Ian is in the picture. I don’t care what animal I have to love. IAN!!! My unapologetic manner of deflecting from my own issues to the mouth-watering Ian. With a cat.